A lonely whale who has been swimming in solitude for decades but never caught on film could soon get the attention he deserves - at least on the big screen. The rare hybrid whale known as 52 Hertz emits calls at a frequency no other whale can understand, and he's captured the imagination of people around the world, including actor Adrian Grenier. Grenier, who is executive producing a documentary about 52, has launched a Kickstarter campaign to fund not only the movie, but a 20-day scientific expedition off the California coast to locate 52 and film him for the first time. Donors have so far contributed more than $72,000 toward the $300,000 goal. The Dodo recently spoke with Grenier and documentary director Josh Zeman about the project. "I first heard about 52 when a (documentary) producing partner called to ask me if I wanted to participate," Grenier said. 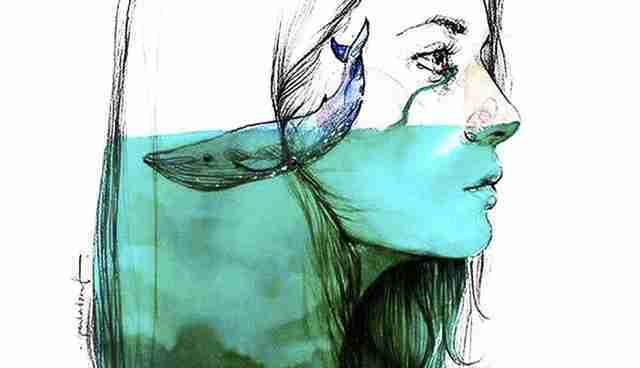 "After she told me the first couple of lines about a whale that was swimming out there, alone without ever receiving a response to his calls, I was immediately drawn to the story. I thought it seemed like a perfect opportunity to get involved in a film that's not only compelling as a story, but also had very deep and important themes." Those themes include compassion and tolerance toward people and species who are different from ourselves, Grenier said, "so that we might understand them better ... so that we're more sensitive toward them." The animal is thought to be a hybrid between and blue whale and a fin whale, though it's not known if that has contributed to his solitary nature. With all the compelling whale stories out there - the plight of the endangered Southern Resident orcas of the Pacific Northwest, say, or the heartening comeback of humpback whales - it might seem odd to focus on just one whale, but director Zeman said it makes sense. 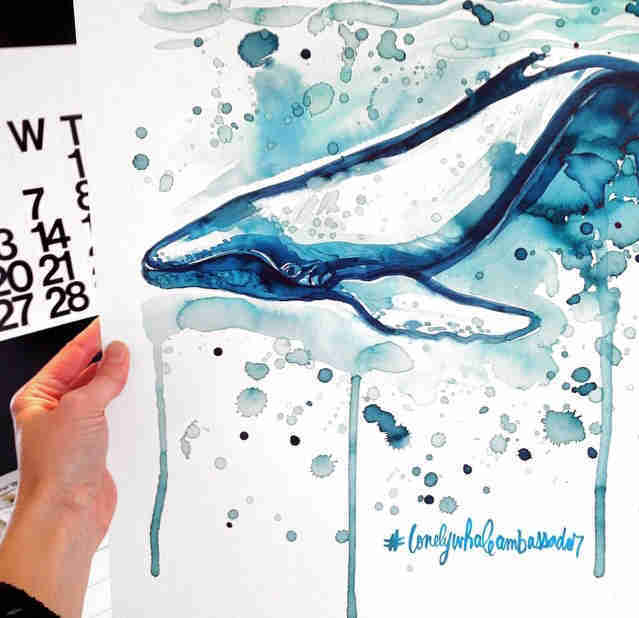 "I think it sort of reconnects people, and the single whale becomes a great heroic character," Zeman said. "People can really put all of their identification and emotion onto one single individual." Grenier believes the extraordinary story of 52 can increase empathy for all animals, as well as the planet and its oceans. 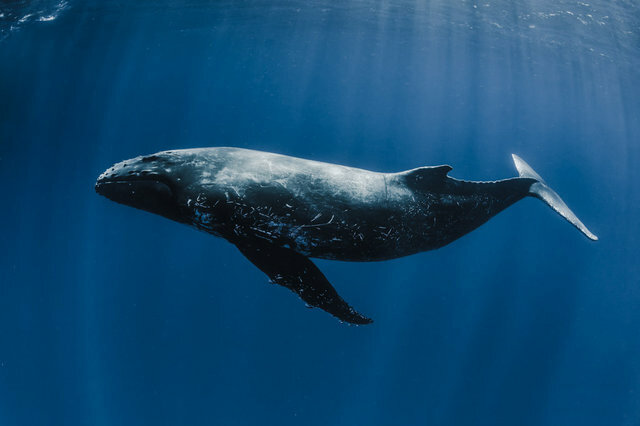 "The lonely whale has that innate ability, and we think the community will come together and not only watch the film, but also have great revelations about themselves and their roles on the planet," he said. All over the world, different people have related to the saga of 52 in different ways. "For some it's the obvious loneliness," Zeman said. "For others it becomes a message of inspiration: He continues calling out year after year despite never theoretically receiving a response. For others, it's the science, an amazing story about a hybrid whale that's out there. For others, it raises the question of if he even wants to be found." Grenier conceded that 52 may not want to be found, but said the search for the lonely whale will benefit all marine animals. "The reality is we humans are affecting his life anyway," he said. "We've connected with him and not in a compassionate, sensitive way. And that's because of manmade noise pollution." According to Humane Society International, "The growing amount of human-caused noise in the ocean may be a growing problem for sound-sensitive creatures. Marine mammals and other marine species can suffer not only hearing damage when exposed to loud noises, but also other physical and psychological harm." Noise sources include sonar blasts from military exercises, seismic air guns to detect oil and gas deposits beneath the sea floor and commercial shipping. Money raised through the crowd-sourcing effort will help pay for the research vessel, fuel, permits, food and equipment for the study, as well as the expedition crew, scientists and the filmmaking team. Zeman will join the expedition, but Grenier said he is not sure there is room for him on board. "I do dread the idea," he said. "I think it would be a harrowing and uncomfortable adventure. But I don't think I could say no to the opportunity." So what happens if the crew doesn't meet its goal of locating 52? "The scientific mission will still be there, which is the ultimate point - to acoustically monitor hybrid whales and do as much research on that as possible," Zeman said. "So the ultimate goal will still happen."